Ersatzmembran für den ProFlora direct Inlinediffusor. Passend für die Ausführungen mit dem Durchmesser 12/16 mm, 16/22 mm, 19/25 mm. JBL is a German company with a long tradition and a vast product range for aquarium enthusiasts. 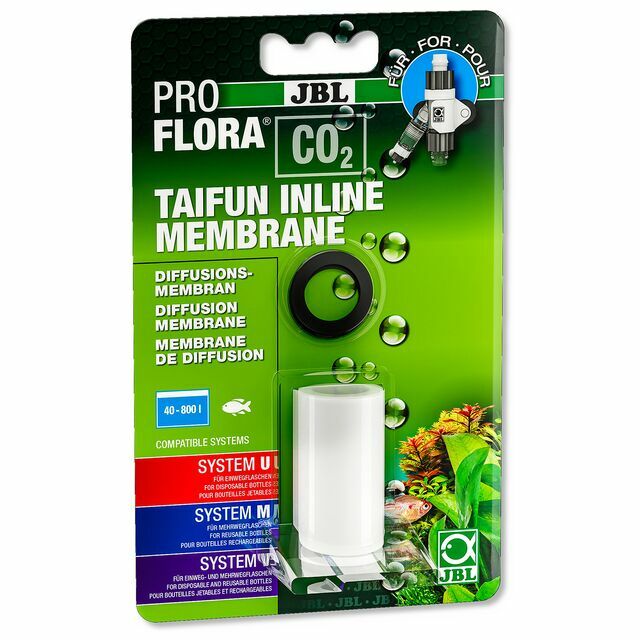 From high-quality fish and shrimp food over external filters to aquatic plant fertilisers - JBL offers an enormous choice for every aquarium keeper. The research and development department of JBL constantly brings new innovative products onto the market. No matter whether you are an aquascaper, fish keeper, shrimp keeper or planted tank enthusiast, JBL offers suitable tools and accessories for all of these aspects of the hobby in order to support aquarium enthusiasts with the set-up and maintenance of their tanks.